I released this week a new AR Concept of an AR Restaurant Menu, you can check it out: Tweet / YouTube Video. Also, I will be speaking at SwiftConf in Cologne, Germany next month, hope to see some of you there! Finally discover what the dishes really look like and check out their reviews! You can watch it in Full HD here: YouTube link Created by myself. Duncan Walker @Trashgames created a short example a movie with a robot shot entirely with an iPhone 7 using ARKit. Jacobo Koening @jacobokoenig released a very good concept: browsing a watches catalogue and being able to see them instantly on your wrist. Amazing tutorial about 3D animations in SceneKit, strongly recommend it! 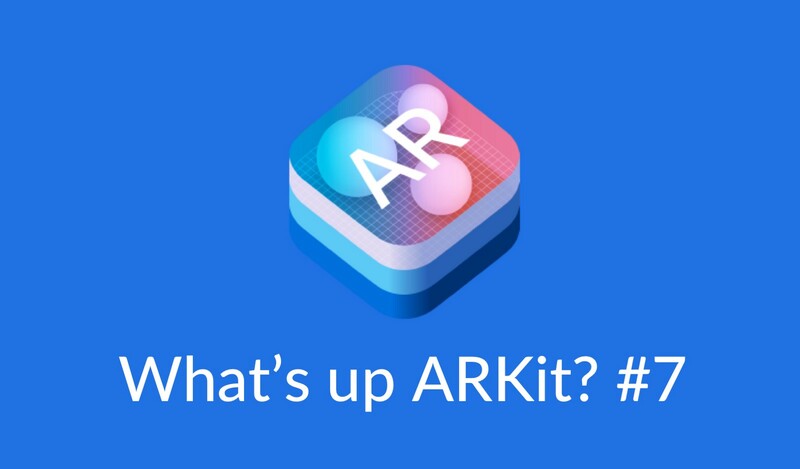 The ARKit Unity Evangelist Dan Miller @DanMillerDev just published some source code that shows up the capability of doing cross platform light estimation between ARCore and ARKit.